The Dimlux 1000w Full Fixture is one of the most effective lighting systems on the market today, producing bigger yields and better quality produce than is possible with traditional HPS lighting. This is thanks to the use of 400v technology ultra-high frequency technology, which greatly enhances the spectral output while reducing operating temperatures. This technology was, until recently, only available to the professional horticultural industry, but has now been engineered to run from standard 230 volt mains supplies. 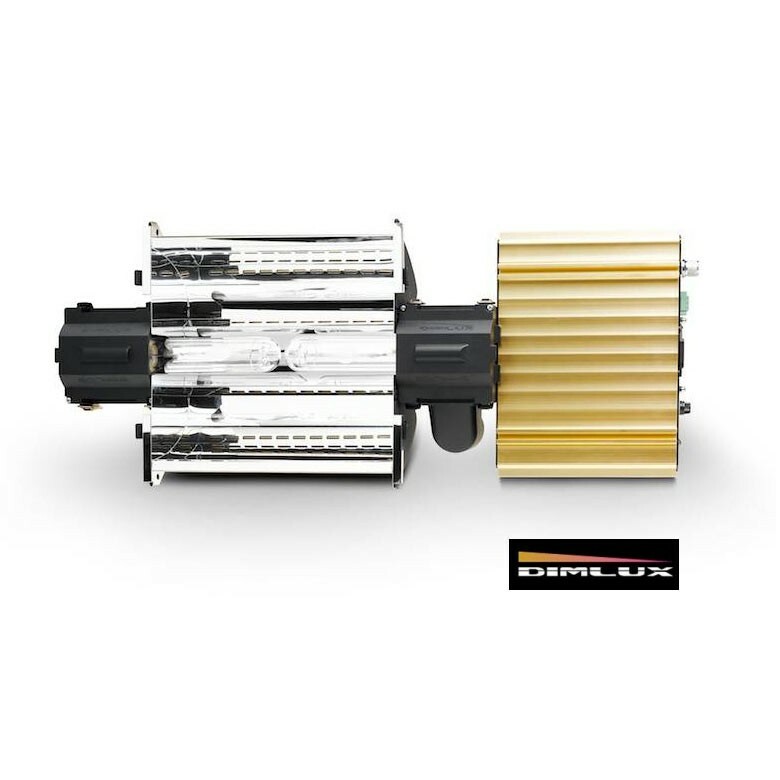 The DimLux Expert Series 630W Dual Full Spectrum is a complete fixture including the Alpha Optics reflector. This reflector is designed according to the Single Bounce Clear Sight (SBCS) principle and is equipped with Miro Silver mirrors. As a result the highest possible efficiency (98%) of all available horticulture reflectors is achieved.